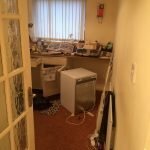 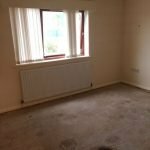 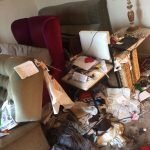 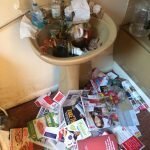 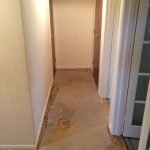 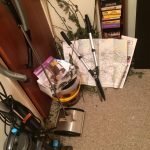 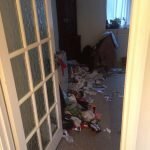 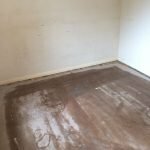 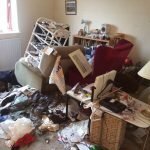 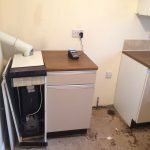 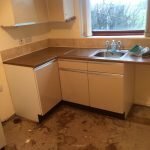 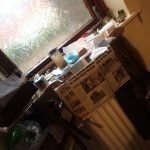 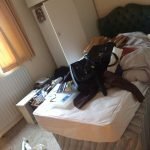 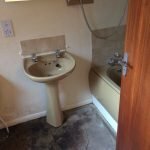 House Clearance Service In Tickhill Brampton-en-le-Morthen Morthen Springvale. 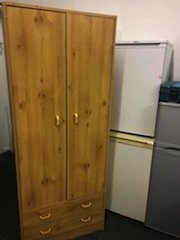 As well as clearing the usual furniture these small items will also need clearing – A pink and lilac Next king size bed cover and two pillow cases, A boxed Makita KP0810K 82mm heavy duty planer, A set of three Victorian decorated Christmas storage cake tins, A black DeLonghi ECZ351 Scultura espresso coffee machine, A brand new boxed white Maxwell Williams gravy boat, A brand new boxed white and blue Dyson V6 cord free handheld mattress vacuum cleaner, A white tiger patterned decorative church pillar candle, A brown leather framed Ikea 65×28″ floor standing mirror. 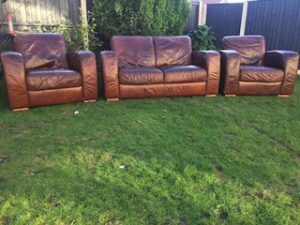 A two seater high back sofa and a pair of armchairs, all on pine square feet, upholstered in brown Italian authentic leather. 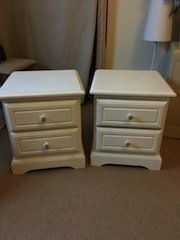 A pair of white solid wood bedside drawers, each having two storage drawers. 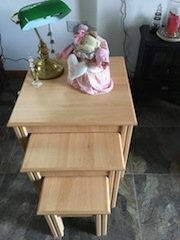 A nest of three beechwood side tables, together with decorative ornaments. 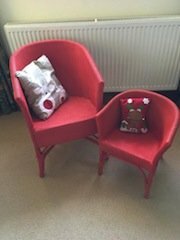 A painted red vintage Lloyd Loom armchair, together with a matching smaller armchair. 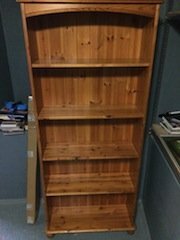 A tall standing stained wood bookcase, having four large removable shelves. 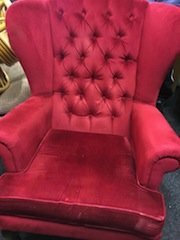 A vintage gentleman’s wingback fireside armchair, upholstered in red velour with button back detailing. 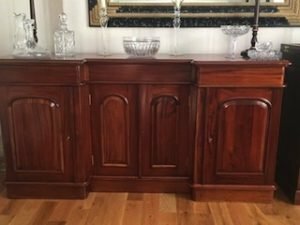 A large vintage solid mahogany sideboard, having three drawers above three cupboards. 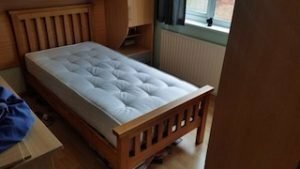 A solid pine single bed frame, together with a white Silent Night single mattress. 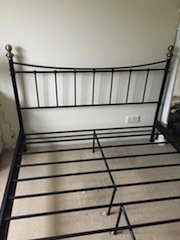 A black cast iron four poster king size bed frame, having bronze finials. 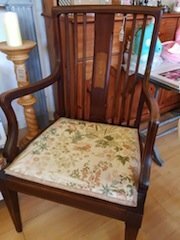 A vintage solid mahogany inlaid armchair, upholstered to the seat with patterned fabric. 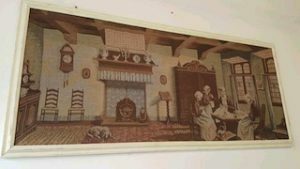 A large vintage white framed painting, depicting a victorian home scene. 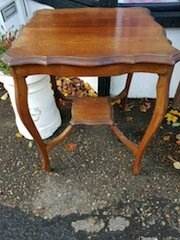 A small vintage scalloped edge solid wood side table, raise on four legs. 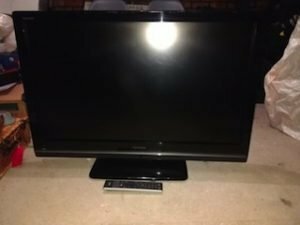 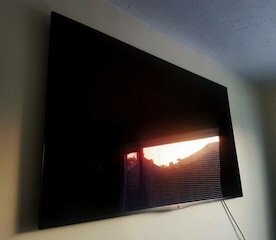 A black Samsung flat screen 50 inch wall mountable HD television. 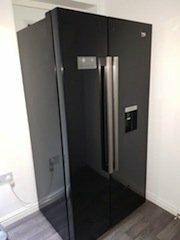 A black Samsung American style two door fridge freezer, with built in water and ice dispenser.